An analytical essay isn’t a summary. Though this may seem obvious in theory, it’s more difficult in practice. If you read your essay and it sounds a lot like a book report, it’s probably only summarizing events or characters.One way to figure out if you’re summarizing instead of analyzing is to look at your support. Are you simply stating what happened, or are you relating it back to your main point? 1. You gotta hook ‘em from the start. The first part of your introduction should draw the reader in. This is called the hook. 2. 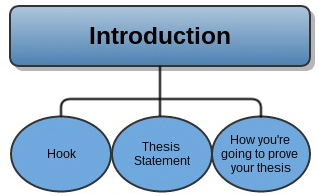 Get to the good stuff—write a killer thesis statement. Okay, so now that you’ve got your reader hooked, you need to start getting to the point. This is where the thesis statement comes in. 3. It’s time to back up your thesis. Let the reader know how you’re going to prove your claim.